What is it about your smile that you wish you could improve? At our St. Louis area office, our highly trained cosmetic dentists, Eric Klumb, DDS and Mike Menolascino, DDS, and entire staff are experts at creating terrific smiles. We work hard to understand your desires and then meld them with your dental needs. Whether it’s the latest in porcelain veneers, Lumineers®, composite bonding, orthodontics, Invisalign®, bleaching, or laser gum treatment, we have the experience and expertise you deserve. As our before and after photos show, we pride ourselves on meticulous attention to detail. Look at the way we strive to make the restorations look natural, while working to meet the smile goals of our patients. We have a rare blend of state-of-the-art technology and years of experience to make the results of our smile makeovers some of the best you can hope for. We know that the most important aspect of our job is to listen carefully to our patients to be sure that we work to meet their cosmetic goals. We understand that each patient is unique, and it is our sincere desire to provide you with beautiful results and a new reason to smile! You can have the smile of your dreams! Let us help make your dreams a reality. Over time, many things we consume can contribute to yellow, brown, or gray stains on the teeth. Wine, coffee, tobacco use, and the natural aging process are just a few causes of discolored teeth. 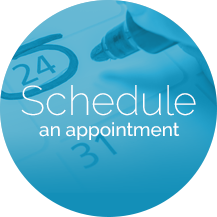 We can help brighten your smile by several shades in as little as one hour. We offer two treatment options at our office: ZOOM!® in-office teeth whitening and the Day White® take-home system. Cosmetic bleaching can be one of the most cost effective, quickest ways to dramatically improve and brighten your smile. Depending on your cosmetic needs and lifestyle, Drs. Menolascino and Klumb can determine which treatment plan is best for you to get rid of the stains and discoloration on your teeth for a whiter, brighter, healthier-looking smile. Traditionally, silver amalgam fillings were the standard for repairing and filling cavities. However, amalgam fillings contain mercury, a substance that has been found to be harmful to the environment and to have health risks. The federal government has strict hazardous waste disposal regulations for amalgam fillings, so there is no need to put the substance into our own bodies. Even a small amount of mercury may be dangerous. Dr. Klumb and Dr. Menolascino are committed to providing the healthiest and safest method of treatment, so we only use tooth-colored porcelain fillings for our patients. First, Dr. Klumb or Dr. Menolascino will apply a special cleaning agent on your affected teeth to create an adequate surface for the bonding material to adhere to. Next, your dentist will apply a custom-made dental resin that matches your natural teeth. A laser or LED light will harden the material, and your dentist will polish and shape your teeth for a beautiful, natural-looking, renewed smile. The process is virtually painless, quick, and can usually be completed in one office visit with immediate results. Cosmetic bonding can minimize minor dental imperfections for a rejuvenated, functional, and radiant smile.